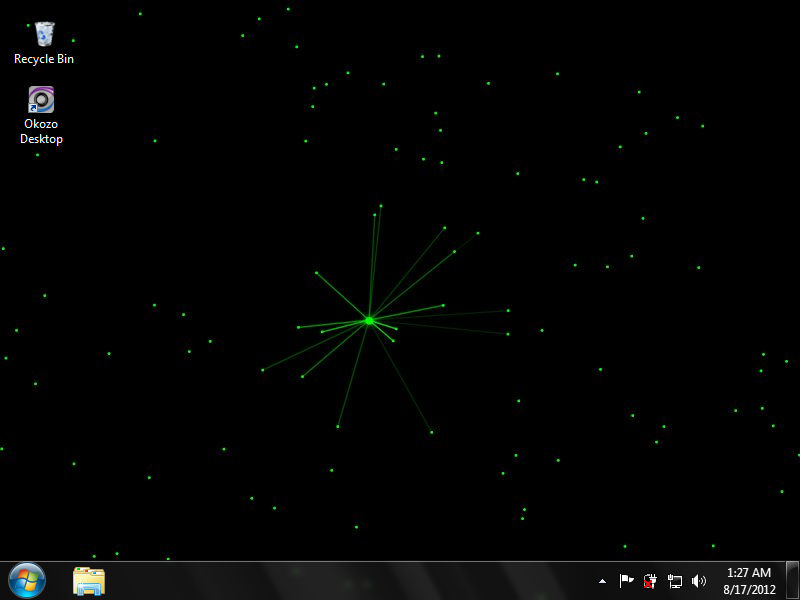 Lime green particles jiggle through the dark void of your desktop in this interactive desktop wallpaper. Watch your cursor transform into a creepy-crawly bundle of spider-like lasers, hopping around the screen at your command. Lime green particles jiggle through the dark void of your desktop in this interactive desktop wallpaper. Watch your cursor transform into a creepy-crawly bundle of spider-like lasers, hopping around the screen at your command. A fun, bright, animated alternative to the boring old desktop background! A low-resource, lightweight animated desktop wallpaper. Safe and signed installer.